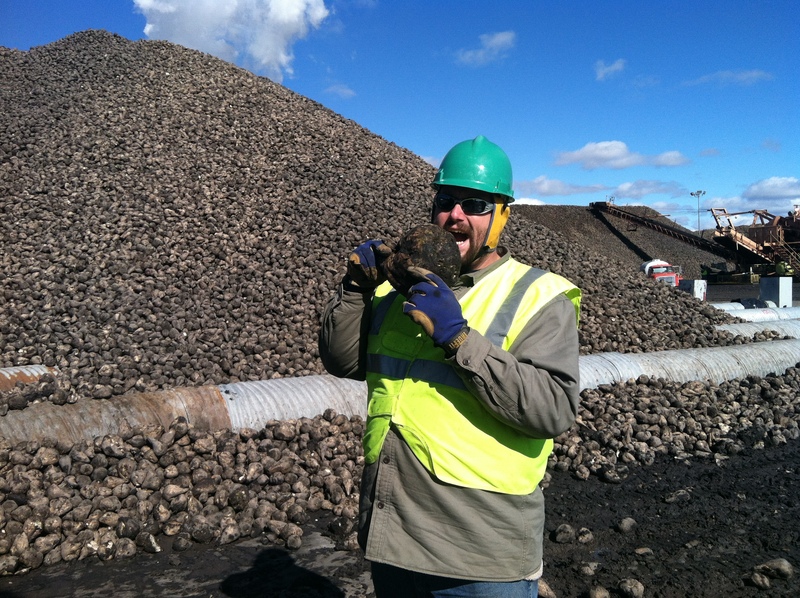 Sugar Beets – Who Knew ! While researching travel options for The Scholl Bus, we ran across a work camping opportunity in North Dakota. I am always interested in learning new things, so seeing an opportunity to try something new and make some money in the process grabbed my attention. I signed up for the beet harvest early this past spring, it worked great to keep us motivated in heading West since we had a job to get to. It also gave me a reason to finally make it to one of the antique engine shows I have always wanted to attend. We had a lot of fun at the WMSTR in Rollag, MN a few weeks before the harvest, this is on the agenda for 2013 for sure. We stayed at Brewer Lake Campground for the 3 weeks before setting up in Hillsboro. North Dakota had a lot of fun and new things in store for the Scholl crew, but the beet harvest turned out to be a completely different ballgame. I don’t really know where to begin since I learned so much about beets and the sugar process while working here. I guess I could start with my first day on the job. I received my hard hat and safety gear and was sent to a beet piler to learn my job. I worked on the ground crew for all of 10 minutes when I was told I should train as a relief piler operator, so I headed up to the cab. Here is the video for those of you that want to skip the reading… There are a few more details included in the following text that could not be included in the video due to time constraints. Let’s face it, the movie is never as good as the book anyway, so why should I break a great tradition. The ground crew working at a piler is responsible for keeping their work area as clean as possible, guiding trucks to collect their dirt, and collecting beet samples from loads when it is required by the scale house. 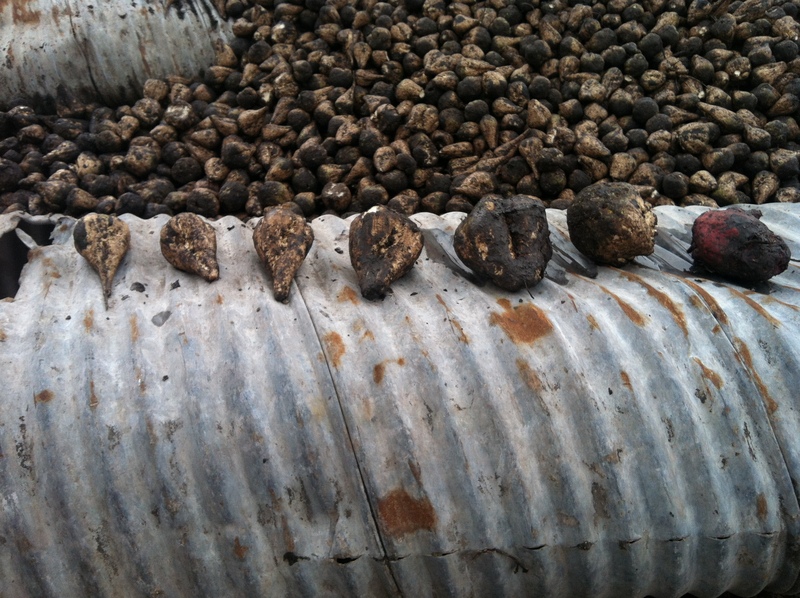 Beet samples are collected from the stream of beets that are falling out of the machine onto the main boom conveyor. These samples are checked for sugar content by a lab, which is ultimately how each farmer is paid for their crop. The picture below is from the first day, our pile is growing steadily as the truck roll through our piler. When I made it to the cab of the piler, there were levers and buttons everywhere. Once you learn the basics of how to guide one truck through the piler, it isn’t too hard to combine the activities on both sides of the machine. If you can’t think of 10 things at once, operating a piler is not for you. The controls in the cab took a while to get used to since the layout appears to have been designed by a drunken gorilla with a touch of dyslexia. The operator is responsible for the safety of the ground crew, but you feel helpless when a truck isn’t listening to your signals since there is nothing you can do about it. The operator signals the truck drivers by lighting specific lights on a “light tree” located under the dirt conveyors. The lights can tell a driver to move forward or backward, and to raise or lower their dump bed. You have to be sure not to signal a driver to raise their bed too high or a massive beet spill will occur. I have always enjoyed video games, beginning with the Atari 2600, so the controls for the light tree joysticks felt normal. You also operate the hydraulic doors of the piler. These doors are lowered to allow a truck to drive over, then raised to create a hopper for the truck to dump its beets into. You can then turn the conveyor on or off on each side independently so you can control the amount of beets running through the machine. Each truck is supposed to get the dirt that the piler removed from his or her beets, the weight of the dirt is subtracted from the load so the farmer is only paid for the weight of the beets. The large semis would tip the scales at over 90,000 lbs on occasion, our piler would unload those beets within a couple minutes. The pile I worked on the most was 30′ high, over 100′ wide, and around 1,500′ long. That is equal to almost 4 NFL football fields lined up end to end with beets piled 30′ high. What is even more astounding, there are almost 6 piles that size in the yard I worked in, with many smaller yards ranging from 1-3 piles scattered around the countryside within 30 miles or so from the processing factory. 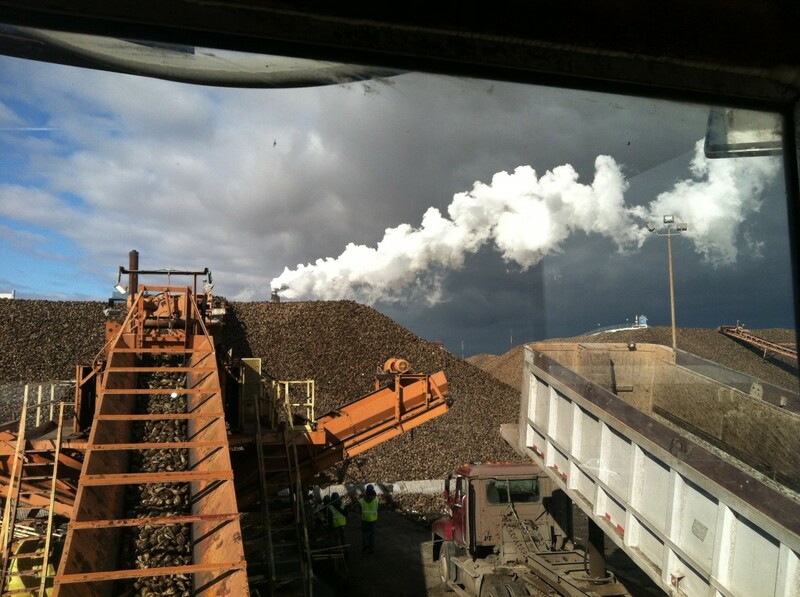 All of these beets feed the sugar factory that was behind my pile, you can see steam from the factory in the picture below. Some of the piles have large fans and pipes that blow the cold North Dakota air into the base of the pile. These piles are Deep Freeze piles, they will be completely frozen as soon as the weather cooperates, then the piles that are not in the buildings are covered with plastic. 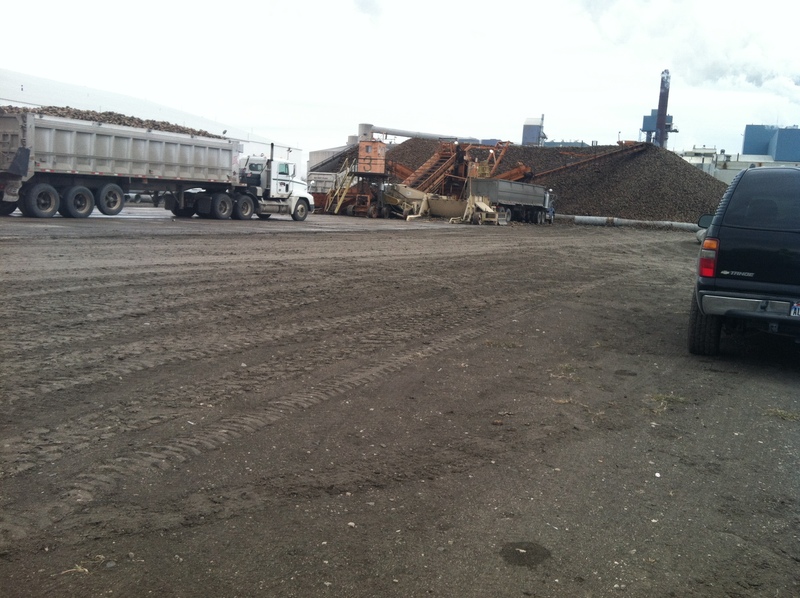 These piles contain the beets that the factory will process through spring next year. The weather next spring can get hot, but due to the large quantity of frozen beets they stay frozen until they are used up. The non-deep freeze piles are used to produce sugar throughout the winter months. As for the big bucks to be made harvesting beets, well, that didn’t turn out to be the case this year due to weather issues. We did okay, but with only myself working we didn’t hit the good payday we had hoped for. The pay really increases if you work weekends, it also helps if you can work straight through without being shut down for any reason. 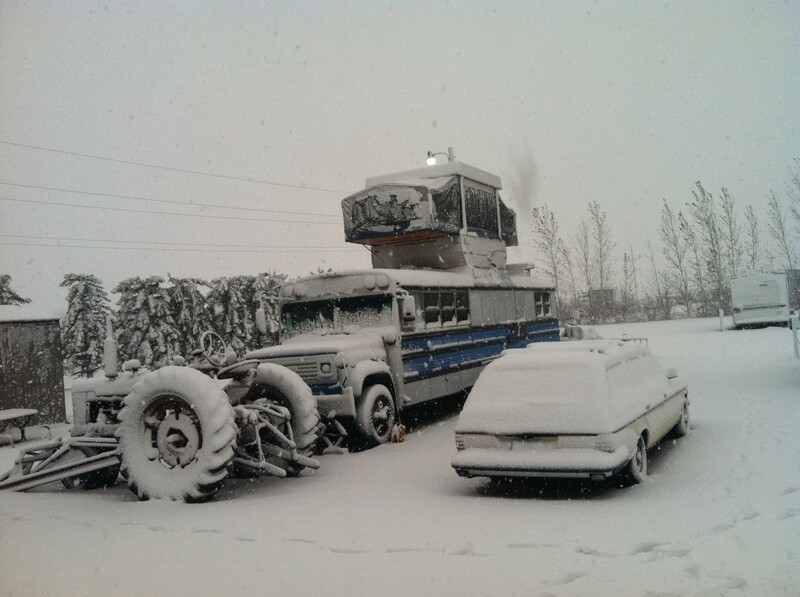 Early on, we were shut down due to heat, then we were shut down for freezing and snow, then it was rain and mud. Will we do it again? Yep, we are already planning next years travels around the beet harvest (and the WMSTR) so these beets haven’t seen the last of my blood sweat and tears. The weather is the largest part of the harvest that SUCKED sometimes. The work wasn’t what I would consider to be extremely difficult, but standing in drizzle when the temperature is nearly freezing and you have sustained winds in the 30 MPH range is not very fun. The 12 hour shifts were an adjustment for most of the workers, and being mentally tired could be tough especially when you were operating the piler. The mud around the pilers is unlike any mud I have worked in. 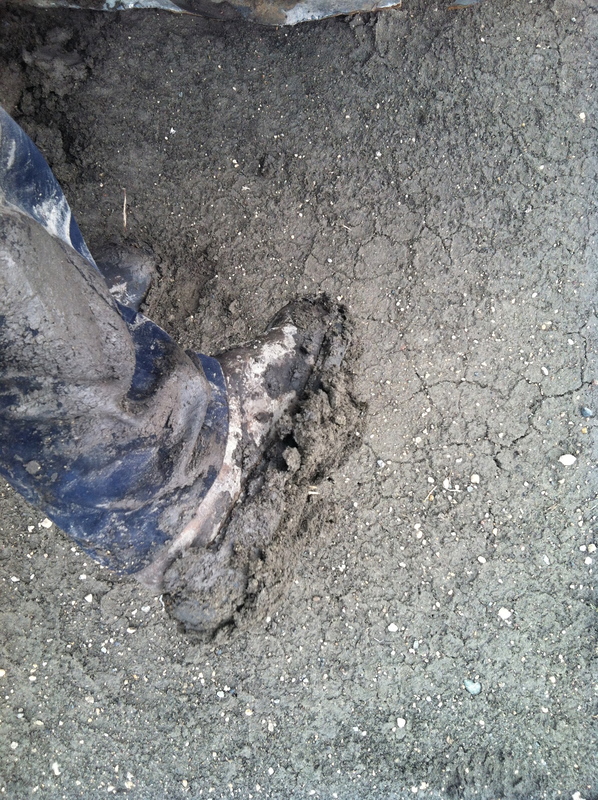 It was very sticky if it wasn’t soupy, when you stepped off the concrete pad you would get taller by the mud building up on your boots. I soon figured out that the size 15 on my boots also told me how many pounds of mud that could be stuck to each boot at any given time. The snow held off for the most part, except for the 4″ of wet stuff we had early on in the harvest. If you are planning to work the beet harvest in the future, proper clothing for all weather possibilities is a requirement. Good waterproof boots that are comfortable enough to stand and walk for 12 hours are a must. They provide gloves and rain gear to all workers, the rain gear is heavy duty and works pretty good. Many layers of clothes are your best bet, and don’t forget that the mud, oil, and grease can ruin anything you wear. 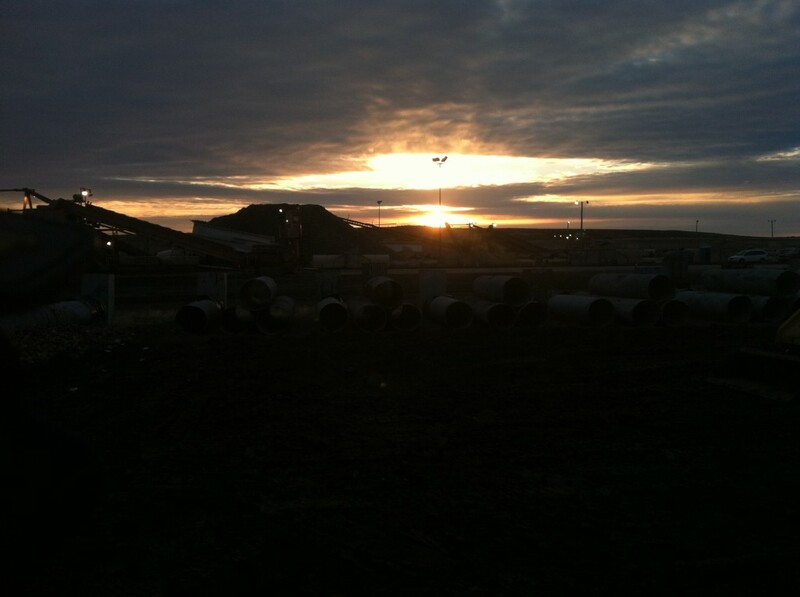 The sunrise and sunset each day (which by the way were both seen at the piling site) were one of the perks of the days work. They were breathtaking nearly every day of the harvest, I just wish I had a better camera than my iPhone for capturing the moment. I ate many Pop-Tarts while watching the sun come up over the beet piles. I made many friends during the harvest, and look forward to hanging with them next year. Our piler crew was AWESOME, we had a lot of fun, and I am looking forward to working with them again. If you decide you would like to participate in the harvest for 2013, let me know. If you sign up to work, be sure to mention my name as your referrer so we get the referral bonus. Don’t forget to “Like” us on Facebook and SHARE this information with your family and friends. I hope to see you at next years harvest. 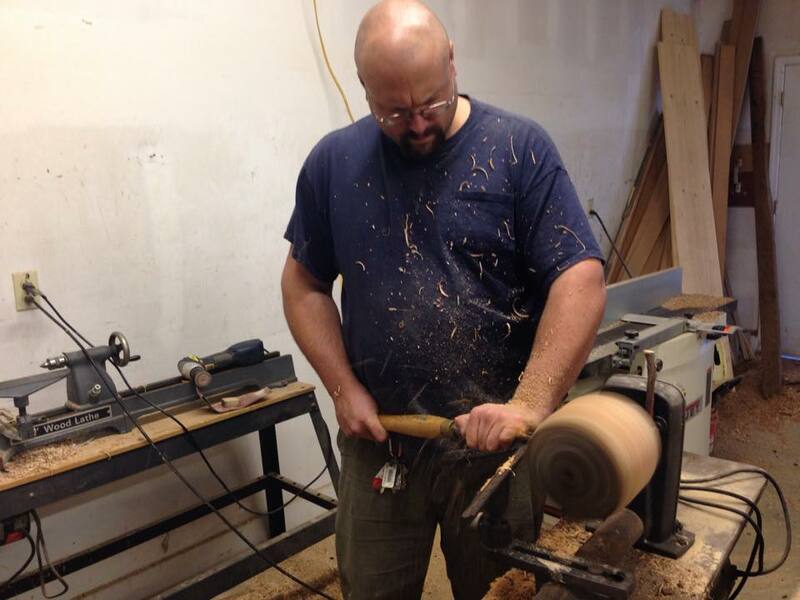 This entry was posted in Camping Activities, Workamping on November 8, 2012 by Jody. Excellent article and video. Thanks for posting these details. I’ve shared this in the WeLoveWorkamping Facebook Group for you. Thanks for sharing your experience…we might just join you next year!